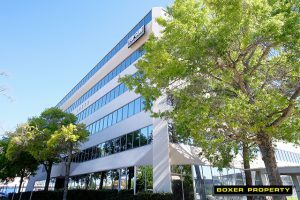 May 22, 2017 (HOUSTON, TX) – Houston-based commercial real estate firm, Boxer Property, announced its agreement with LNR Property LLC to manage and lease office space at its property, Atrium Crest, located at 18333 Egret Bay Blvd in Clear Lake area of Houston, TX. The six-story complex features 106,320 SqFt of office space for lease in Clear Lake and is situated near the NASA Road 1 and Egret Bay Blvd intersection with convenient access to I-45. A myriad of amenities are available at Atrium Crest including an on-site deli, drop boxes, and ample covered and surface parking. Numerous restaurants and shopping options are available in the vicinity including Five Guys, Jinya Ramen, Starbucks, and the Baybrook Mall. Also located only a few minutes away are the NASA Space Center and the University of Texas Medical Branch.